Be bold. Laugh hard. Lead when everything is changing. Amy Lynch speaks from experience. "Your presentation was not only informative, but in the short time we were together, I do feel I had a transformational experience regarding how I view Millennials in the work place. You brought me a decade or more forward." "The rave reviews of Amy's keynote during our recent convention have not stopped coming in. Her ability to relate her studies directly to our industry with specific examples was most impressive. The time she took to understand our industry and dive deep into the skilled labor crisis set her presentation far apart from what many attendees had experienced before on the same subject. Her presentation was incredibly valuable." "Our attendees loved your keynote! People tell me they have already used the insights you provided, and I can tell that Generational Intelligence is going to be a great tool for our leaders!" "Response to your keynote was amazing. We had tremendous buzz! More than 90% of our attendees say they will use the information, and 93% say they learned something new about another generation. 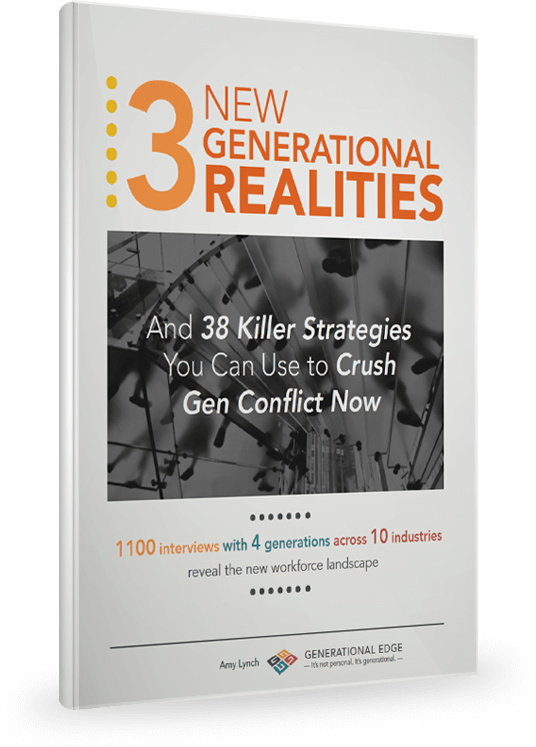 You do something utterly different when you reveal the unique elements that trigger behaviors in each generation and how to communicate within that context. Great work!" "I have been in healthcare for more than 30 years, attended countless conferences and heard many luminaries speak. Amy is one of the BEST keynoters that I have ever heard. She is brilliant engaging, funny and articulate. The audience was the most engaged I have ever witnessed. I found Amy’s insights into generational challenges and opportunities particularly applicable to healthcare, especially given the magnitude of our industry and the diversity of roles within it. Healthcare is always challenged to find clinical talent and increasingly challenged to find technical talent as the impact of IT continues to grow. It is more important than ever that we build next generation leaders and, at the same time, capture the wisdom of our Baby Boomers. Amy articulates the specifics for doing exactly that. She’s great! Sign her!" “Amy Lynch did an amazing job. Attendees have been coming up to me regularly since her Sunday night keynote saying great things about her. She was a real hit. Would recommend her to anyone reaching out to someone with her abilities and knowledge of the generations. Outstanding! "I booked Amy and was more than pleased. Her material is research-based, current and timely. Amy’s presentation style is a real bonus. She is engaging, humorous, and respectful of the questions her material raises. 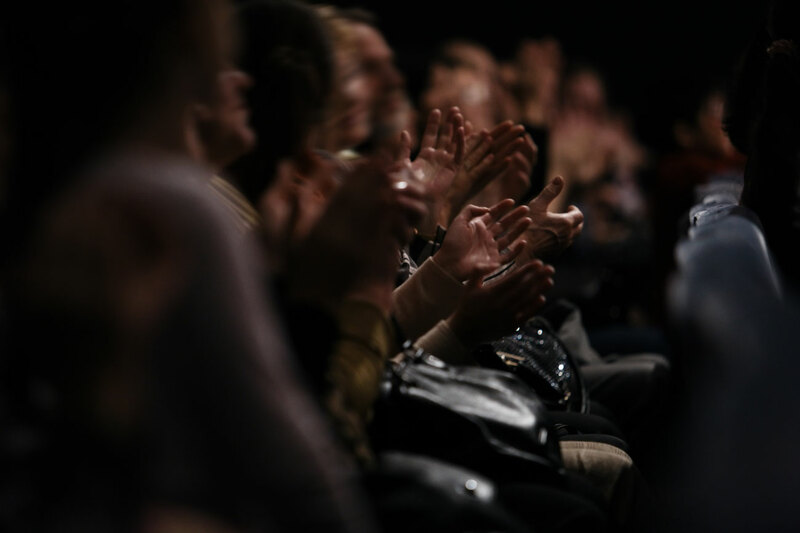 The audience gave her a standing ovation; and reviews were so glowing that I hope to book Amy Lynch as a regular speaker for my leadership teams." "I want to thank you personally for what I would say is the most well-researched and organizationally focused presentation I have ever heard. I found it refreshing that you had done your homework on Cooperative Extension and eXtension. The fact that you researched us, looked at our website, interviewed our members and contributors and provided detailed examples of how we might appeal to the differing generations in our programming was excellent!" “I had heard several generations presentations, but the whole notion seemed a little like String Theory. Sometimes I'd glimpse it, but it didn't seem to apply to me. But when I heard Amy speak, I got it for the first time. Generational concepts are no longer abstract! They are strategies I can use, thanks to Amy's lucid, entertaining presentation! 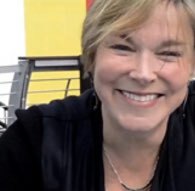 "Amy Lynch is an engaging, dynamic presenter and expert on generational trends. The information she shares is not only useful, but necessary. Specifically for the Association of Fundraising Professionals, Amy provided strategies for working with donors of different generations. Her real-world examples, action steps and specific language for framing effective donor solicitations made for a compelling session!" "Since your workshop, I've been texting like a youngster and loving it! You can teach an old dog new tricks!" "I have invited Amy to address audiences in both healthcare and the automotive industries. At HCA she did a dynamic job of working with hospitals on issues affecting Gen Y retention. More recently, we invited her to address the Nissan headquarters group, and they loved her! She does her homework like nobody else, tailoring generations material to the industry so that audiences get genuine value." "It was clear you did a significant amount of research prior to the session to customize the presentation to meet our needs. I have not seen this extensive amount of work from other speakers. I highly recommend your services to others." “Your session was right on target for our leadership group. This is a message we need to hear. We must learn to motivate and manage Generations Y and Z. I look forward to working with you again." “Amy has a special knack for engaging groups. She understands how adults learn, and she brings added value with up-to-date research. I hope to see her again, and soon." "Your opening keynote set exactly the right tone for our conference. We could not have made a better choice!" "I highly recommend Amy as a speaker. Her keynote was fun, and she gave us new and much needed ideas."